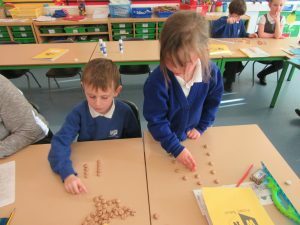 Robins are beginning to learn their times tables in class and what this actually means. 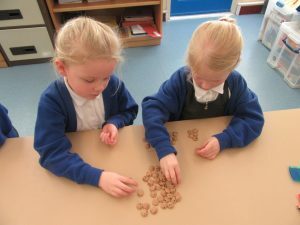 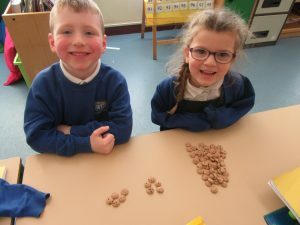 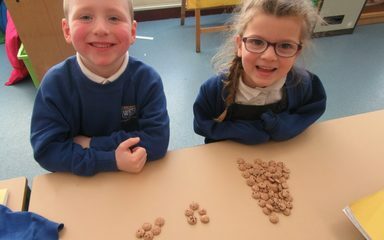 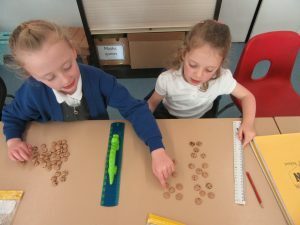 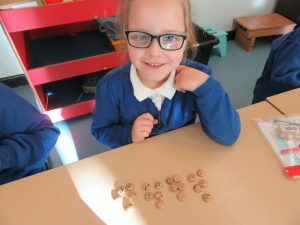 We used cookie cereal to represent the 5 times table today and even managed to resist eating any! 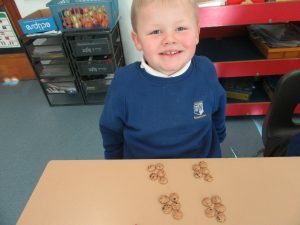 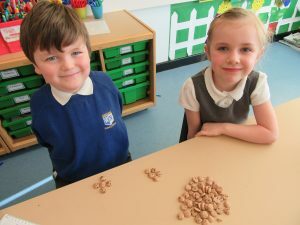 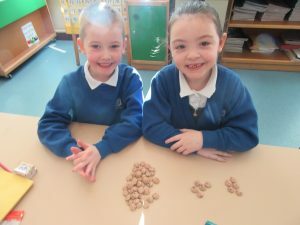 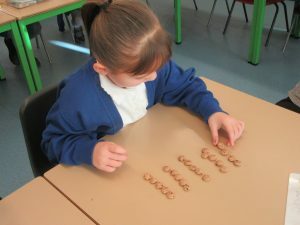 What a great way tof learn how to count.And we’ll done for not eating any,I’m not sure I could have helped my self ha .